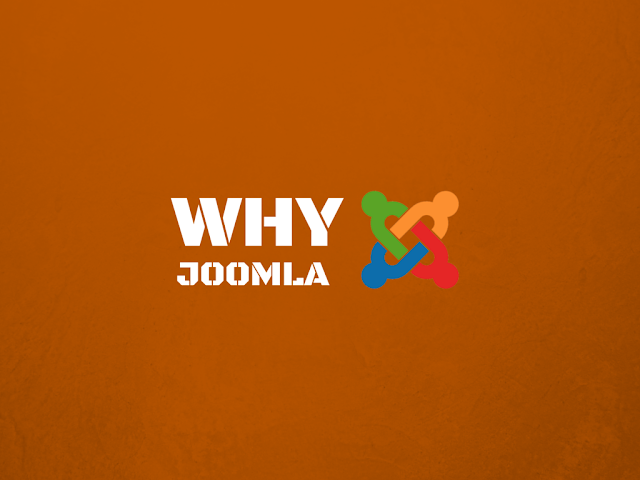 What is Joomla & What Features Have Made It Popular! Joomla is a feature-rich content management system that has been developed to help the businesses build the websites at the utmost ease. It is built on PHP technology and supports the advanced programming paradigm that is Object Oriented Programming. This is a kind of framework that has been designed by taking every requirement of the developers into the mind. Joomla is completely an out-of-the-box technology. Due to skyrocketing demand of building the presence in the digital space, it has been difficult for the web development organizations to deliver the website in a minimum time. That’s why, various web development frameworks were launched; where Joomla turned out to be one of the best platforms for developing the websites for different purposes. This is a renowned platform all around the world that powers the websites of various top-notch brands. Joomla comes with an advanced framework that is not only secure, but also features integrated environment to simplify the development workflow and ensure a better experience to the developers. In fact, this framework also simplifies the way for the programmers to build the advanced websites that provide amazing experience with superb performance. Whether it is an e-commerce website, enterprise-centric, corporate based or any other complex website, Joomla is very helpful in developing every kind of website at ease. Along with this feature, there are other features of Joomla that have made it popular among different businesses all around the feature. Joomla supports flexible content management framework that empowers the developers to develop the content without having any in depth knowledge of coding. There is a support of WYISWYG (What You See Is What You Get) editor that enables the administrators to publish the content seamlessly. Moreover, this editor also enables the content developers to post the content in a way they want to display it. It means there are no factors that hinder the creativity. Additionally, in order to structure the content, this framework helps the website developers organize the content on every page effectively. 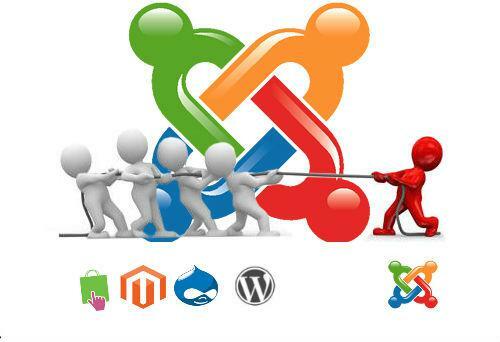 Joomla allows the multiple users to control different functionalities of the website so that the website runs smoothly. It basically features ACL (Access Control List) to maintain a permission graph that defines different rights to different users. For example, the editor can publish and manage the content while the admin can maintain the theme and other components of the websites. As the platform supports Google Mail, LADP and OpenId, it is easy for the users to register their account at Joomla. Joomla supports model-view-control (MVC) architecture that empowers the developers to design and code the website comfortably. The MVC makes it easy to test the design and performance of the website. Moreover, it simplifies the coding process. This CMS features OOP programming principle that eases the way to reuse the code and organize the coding effectively. The support for MVC and OOP simplifies the way to build complex website that can automate the enterprise functionality and ensure better return on the investment. Secondly, Joomla features database driven support, which minimizes the usage of FTP to upload the data. This can even propel the process of updating the content on real time basis. There are certain stances that the website owners have to modify the website’s layout, which is not easy. But, in Joomla it is quite easy for the users to alter the layout of website as per the requirement. Every component including theme, menu, navigation and others can easily be modified. Joomla also makes it easy for managing & integrating different media contents that includes images, video and other contents. Here the administrators can organize different media files and integrate them instantly at the time of requirement. Besides simplifying website development, Joomla also helps the website owners add multiple banners with the help of the advanced tools so that the users can promote their services and generate revenue. It also allows the users to implement codes for tracking clicks and impression number. Along with this, there are other tools that help the administrators to advertise the products and services on the websites. Joomla supports an advanced search functionality that the website owners can add to their websites. This advanced search functionality eases the way for the visitors to search the desirable content and interact with the website easily. There is an option to integrate the smart indexing, automatic search indexing and other searching tool for providing the brilliant experience to the visitors. This CMS supports mobile-ready architecture to enable the developers to build the websites for mobile platform in order to serve the mobile users. This framework is built on Bootstrap that empowers the developers with a capability to build the responsive websites that are enabled to provide superb experience on all the mobile devices. The beautiful fonts play the best role in making the content expressive and pleasing. And, Joomla supports all kinds of beautiful fonts, which empower the designers to implement different fonts including Google Fonts and web fonts. There is also a functionality to manage different templates. The developer can either choose a single template for whole website or different templates for different web pages. Moreover, the designer has the capability to customize the different parts of the web page. This also has enabled various independent developers to be able to create there own premium Joomla templates and sell it for cheap. Joomla allows the users to reap the benefits of the cloud based networking system. It provides APIs that enable the administrators to store all the imperative data on cloud. The Joomla API is compatible with different cloud services such as Amazon S3, Google Cloud Storage, Dropbox, and Rackspace. Joomla ensures a better performance with a faster page load speed by easing the implementation of page caching, GZIP page compression and granular-level modular caching. Joomla is superbly designed enterprise level CMS. It comes with an array of advanced features and interface that help the developers and designers build any kind of responsive website for their businesses. Want to share your view related to Joomla or any other CMS, then write to us via comment section given below.